Running your dealership takes a lot of time. Alongside the everyday admin work that must be done, selling vehicles takes time—from monitoring and bringing in new inventory to conducting test drives. Any chance to gain a little bit more time is a relief, which is why you should consider auto dealer digital marketing. 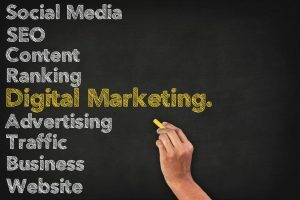 Auto dealer digital marketing can help you more effectively get your dealership and inventory in front of interested customers in the digital realm of search engines, social media, blog posts, and more. You’ve probably heard of SEO—it’s what enables your dealership to show up on search engines like Google. The better your SEO and keyword usage are, the higher your website will appear in search engine result pages, thus drawing in more possible clientele. Have you considered how much time SEO can save you? The more people who find your website on their own, the less time you need to spend searching for them. When it comes to a marketing spot like a TV commercial, not only do you have to invest in making the commercial, but you have to seek out the prime spot and continue to pay to use it. With digital content, on the other hand, once you create it, it will continue to work over and over again. People will continue to search common keywords and find your article, drawing them to your website and, ultimately, your business. It may require an up-front time investment to create and distribute compelling content, but then you can sit back and let it do its work. Not everyone is ready to buy a car—you know this better than most. Spending time with leads who aren’t yet ready to buy can eat up a lot of time, which is time you might better spend focusing on someone who is ready to buy. With lead nurturing, you use personalized emails to move leads who aren’t yet ready to buy down the buyer’s journey. When ready, these leads will come back to you to purchase because you stayed top of mind and offered valuable advice and content that helped them make an informed purchasing decision. You’re able to get back to selling to sales-qualified leads while still nurturing those who aren’t yet ready to buy. With CRO, you can monitor your website to learn people’s habits and find out which aspects of your site are working and which aren’t. The more you know, the more you can tailor your site to be an effective tool for quickly moving someone through the buyer’s journey to the point he or she is ready for purchase. The better your site is at answering questions and providing users with what they need, the less time you spend answering questions or nurturing leads. And when someone is ready to make a purchase, you’ve got all the time in the world to dedicate to the sales process thanks to your auto dealer digital marketing.